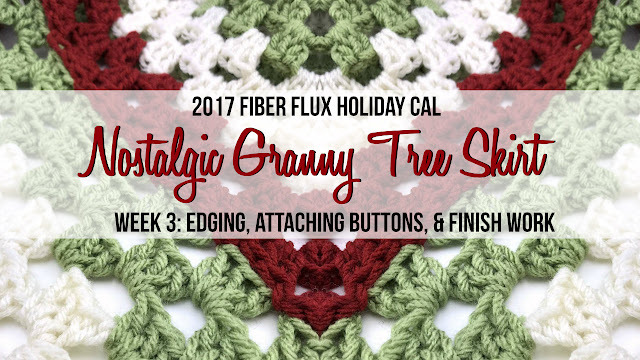 Welcome back for week 3 of the 2017 Fiber Flux Holiday Crochet Along! This is the last week of tutorials, then you'll have a few weeks to work on your piece and enjoy it before the maker gallery rolls around! Today we'll be how to add a lovely scallop edging, weaving in ends, and adding optional buttons! Next, ch 3, then work 12 dc in the same space. In the next space work a sl st. *Work 12 dc in the next space, then a sl st in the next space. Repeat from * to the last space. For the last scallop, work (12 dc, sl st) in the same space to create a rounder, more finished edge. *Note: where each triangle connects, you'll still work the same sequence (12 dc in a space, sl st in next space, etc), but work them into the corner space of the first triangle, then the space in between the triangles, then the corner space of the next triangle. To see a visual of this, be sure to check out the video too. Finishing: Weave in any ends that remain. With a piece of matching yarn, sew buttons down the edge of one of the triangles at the opening as shown in the above photos. You can sew three like I did or more if you like. Use the decorative holes in the granny triangle on the other side of the opening as button holes to button it closed. 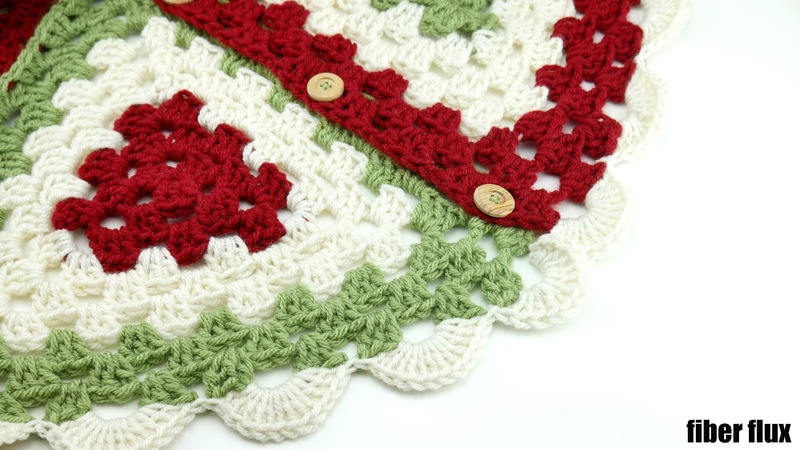 Tuesday November 28: Introduction to the CAL, the project, size of finished project, yarn, and supplies needed. Wednesday November 29: Color palette inspiration on the blog! 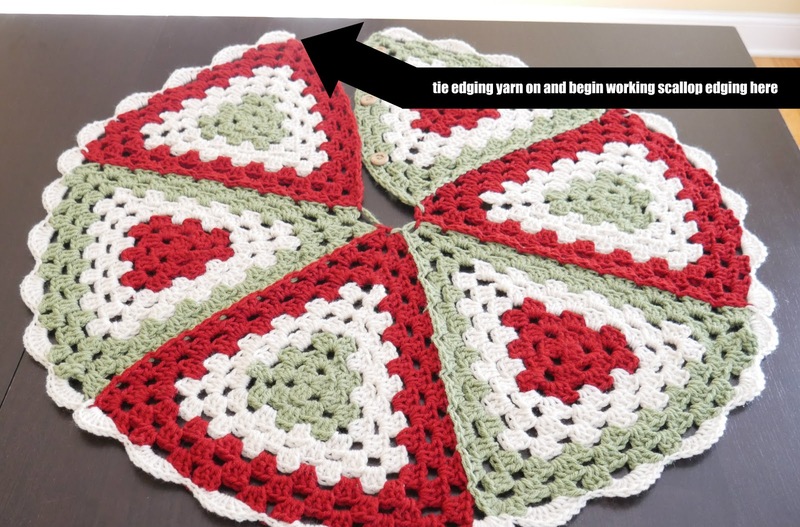 Tuesday December 12: Edging, buttons, and finish work. Friday January 5: Today is Maker Gallery Day! Check it out to see all of the amazing projects from the Fiber Flux community! I am so super excited to see all of your beautiful projects in the next few weeks...please share those pictures and above enjoy, take some time to relax with your hook, and have fun! That's all for today lovelies, see you tomorrow for the big reveal!